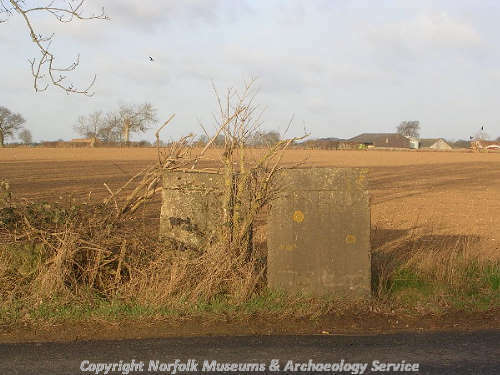 World War Two concrete road blocks on Attlebridge Airfield, see NHER 3063. 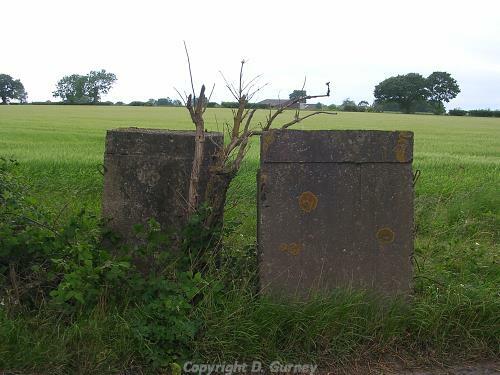 World War Two concrete road blocks. D. Gurney (NLA), August 2004. <S1> Unpublished document: Gurney, D. et al.. 2004. Attlebridge Airfield Survey Record Form.